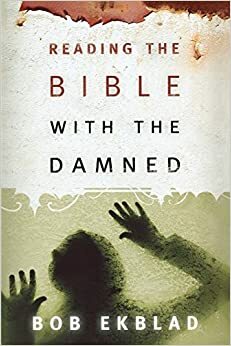 This week I read Bob Ecblad’s, “Reading the Bible With the Damned” which takes first place in the competition for which book title makes my blog post title incredible convoluted. This book is also rare in that I only downloaded it to read one chapter, the chapter on Exodus. It was recommended by a fellow pastor who found that chapter to helpful in preaching about Shiphrah and Puah in Exodus 1. But after reading Ecblad’s take on Exodus 1, I couldn’t help but peruse the other 8 chapters about his experiences reading Scripture with immigrants, inmates and third world citizens. At times the book is tedious. At other times it is repetitive. And some times it gets a little bit too preachy. But at the very least Ecblad has found a clever way to introduce readers to a liberation reading of Scripture. His chapters document conversations he has had in Bible studies with various groups where he helps the readers revisit colonial assumptions about the God who is on the side of the powers and embrace a God who is trying to free the oppressed from power. Q: Who does Jacob steal the blessing from? Q: And what is the significance thereof? A: Jacob was younger and therefore not deserving of blessing. At other times the book reads like a social justice text giving great details about the lives of the oppressed in today’s world. At other times the book reads like a how to in giving a Bible study with comments about asking questions and an incarnational approach that pretends to know little or nothing so as not to belittle or demean. As for that last one, a few years ago I spent three months teaching in a federal penitentiary in Leavenworth, KS. How I got there and why I only lasted 3 months is a story for another day except to say that I failed miserably in all the ways where Ecblad succeeds. At that point I had worked for about 6 months at a Rescue Mission and I mistakenly believed that inmates were the same as homeless men. I was very wrong on that assumption. The culture of prison is very different from the culture of the streets, though with some similarities. As I read Ecblad’s book I found myself wishing I had read it before setting foot in Leavenworth. As he documents the social justice travesties of our day and describes his interpretive approach while giving out detailed biographies of inmates he has met, I found myself deeply lamenting my own failures over those 3 tortuous months. It would be a great text to give someone in that situation. Now, if you will excuse me, I have some major tweaking to do to my Sunday School lesson!